I'm sorry you guys. I had a serious brain fart here! For some reason I thought that this thread was about a CHP. That's what I get for not reading thoroughly. Please excuse! Last edited by mukwah; April 15th, 2019 at 06:31 PM. Then it's worth it to you. Ya'll are talking about two different things. The OP asked about a Louisiana a HUNTING license and some are talking about a Louisiana CHP. who vote for a living. 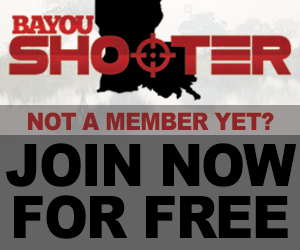 They are talking about a Louisiana Concealed Handgun Permit not a Louisiana lifetime Hunting license. Is there any reason *not* to get a lifetime hunting and fishing license in Louisiana, other than having to lay out $500 in one shot? Seems like a no-brainer since I'd be saving money after only five years. Lifetime hunting/fishing license is a great gift for any kid age 5 to 13. It's only $300. Buy the time they reach 13, they should know if they enjoy hunting and/or fishing. Split the cost between a few relatives and got the license for my son for Christmas a few years ago. Bought my grandson one for $200 just before he turned 5 a few months ago. I believe it's $200 for both hunting and fishing lifetime under age 4. And goes up to $500 for both after that? Either way, it's worth it.....you never know one day they might do away with the lifetime,or increase the price as they have slowly been doing?